It's a good initiative by City Hall, taking cue of government's intention to use LED for street lighting in 2014. For building illumination, a pilot project by the federal government helped save it around RM3.5 million or 10.3% in power usage, between January and October last year. Citing what was reported in the Daily Express on Jan 10, 2013 "the use of LED is much cheaper from the existing lamps", I hope the tabloid merely misquoted the Mayor as this is definitely not the case. Infact the use of LED lamps is 'very expensive' if you compare it with sodium vapour and or metal halide street light bulbs. The major selling point of LED lamps is its extremely low energy usage, and that is why the City Hall will save a lot in its electricity bills when using it. However, initial installation cost is higher than the existing ones. Kota Kinabalu: City Hall has identified some areas in the city to be lit by energy saving bulbs to help save on utility bills this year. 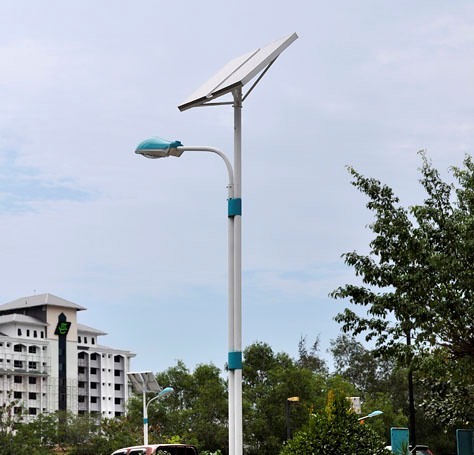 Mayor Datuk Abidin Madingkir on Wednesday said City Hall would begin the installation of such bulbs like Light Emitting Diode (LED) bulbs in a pilot project, to determine its viability, soon. "Certainly the use of LED is much cheaper from the existing lamps, we will not replace them all at once, but the installation will be done gradually, in phases," he said. Preliminary results of a pilot project in the peninsula, revealed LED bulbs used in 12 government buildings in Putrajaya showed average savings of 10.3 per cent or RM3.5million from January-October last year. The move could help the Government save up to RM800 million from the RM2.7 billion it spends each year. However, the cost of implementing the plan is costly, revealed Energy, Green Technology and Water Minister, Datuk Seri Peter Chin. Memang ada. Haritu melawat Kuching, sy siap amik gambar.